This adorable bat needed to take a nap, so he swooped into the studio and decided to hang from the border of one of our patches. We thought he looked pretty good there, so we thought we'd share him with all of you! 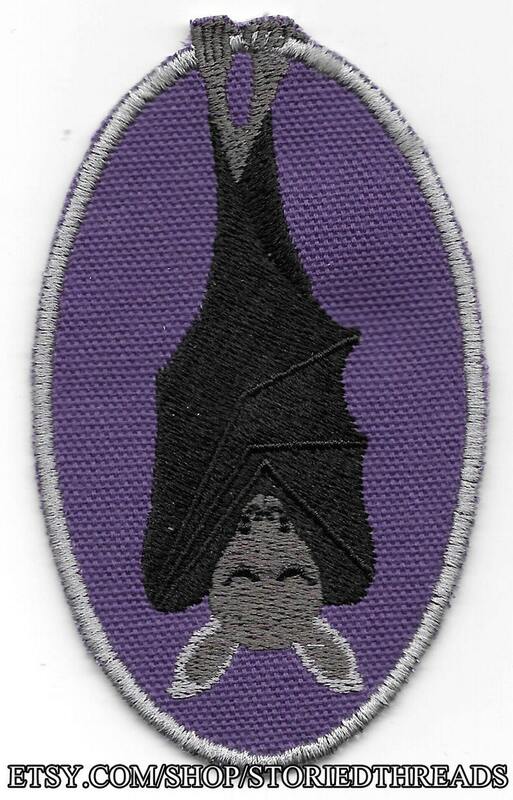 This sew-on patch is stitched on purple cotton canvas, and measures approximately 4" tall by 2.5" wide.